"Stressed spelled backwards is desserts". And desserts means sugar. 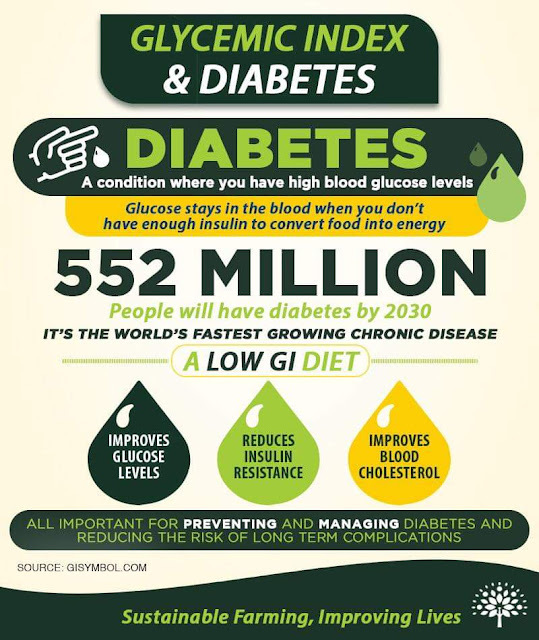 This ladies and gents, why a lot of people are diabetics. Hehe! But seriously, a lot of people suffers from diabetes. My Father for one. He's diabetic for many years now and madami na din ang bawal sa kanya. So with the history of diabetes in the family, I wish I am conscious with my sugar intake. But sad to say, it get the best of me. Huhu! Ang hirap talaga iwasan ang sugar intake. I'm glad I got introduced to much safer sugar that I can also use in baking, making desserts, etc. 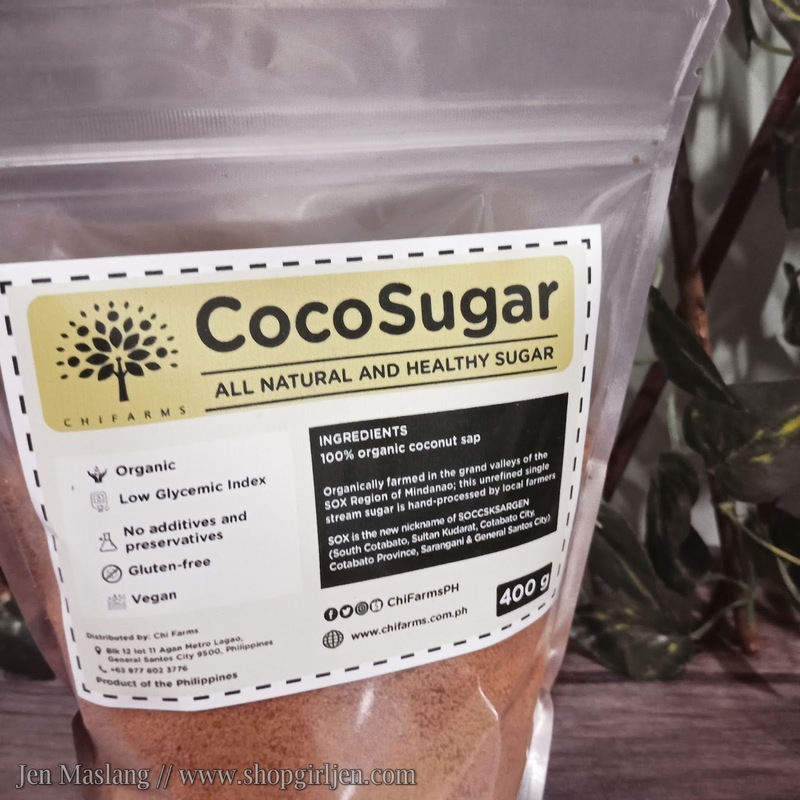 Organically farmed in the grand valleys of the SOX Region of Mindanao, Coco Sugar from Chi Farms PH is all natural, low Glycemic Index, unrefined and hand-processed by local farmers. 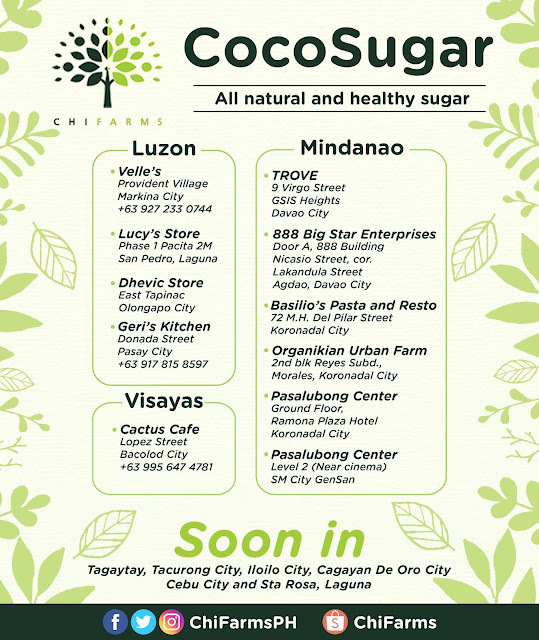 Yes, not only Coco Sugar is suitable for diabetics, Chi Farms PH is also supporting over 150 farmers. Way to go, right?! And they are much healthier than muscovado sugar. And because we are sweet (hehe), we're giving away Coco Sugar gift pack to 4 of our followers. Yaaayyy!!! 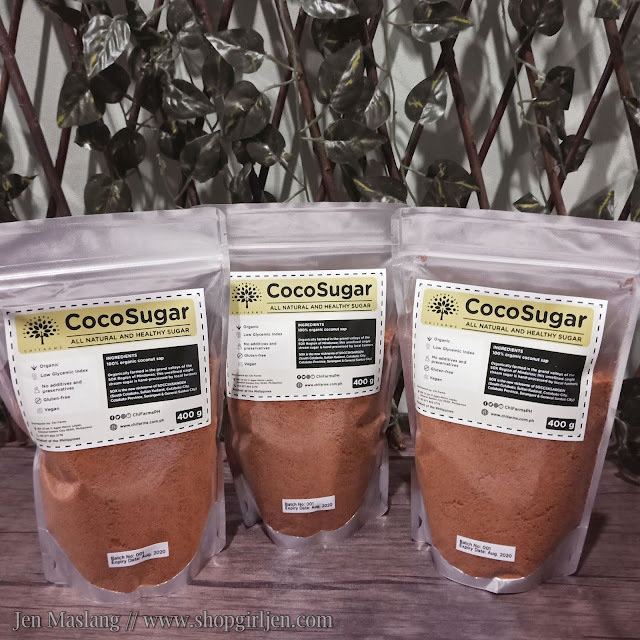 Why choose Coco Sugar over commercialized or regular sugar? And here's the good news part. 4 of our followers will win 3 pouches of 400g of Coco Sugar! 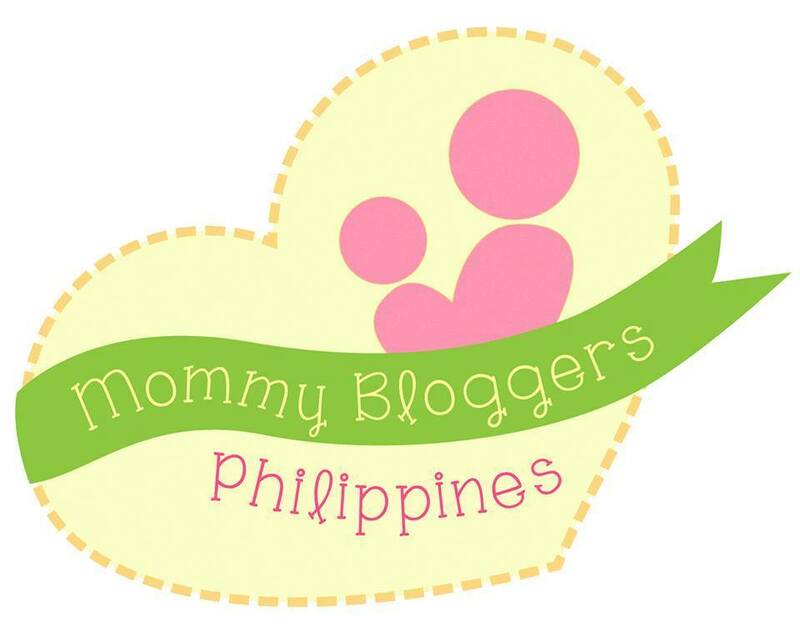 Check out our Facebook Page today for the mechanics. 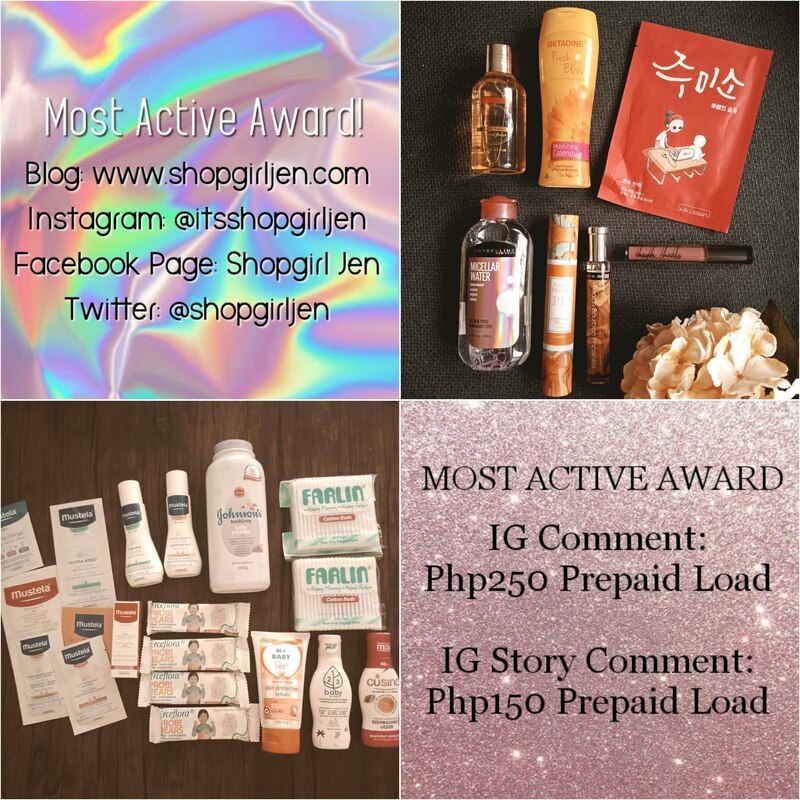 Don't forget to COMMENT BELOW YOUR FACEBOOK NAME AND INSTAGRAM to be counted. You can also get your sugar fixed at these stores. 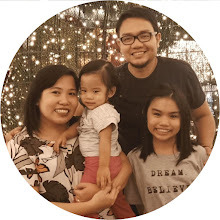 They're also available in Shopee! 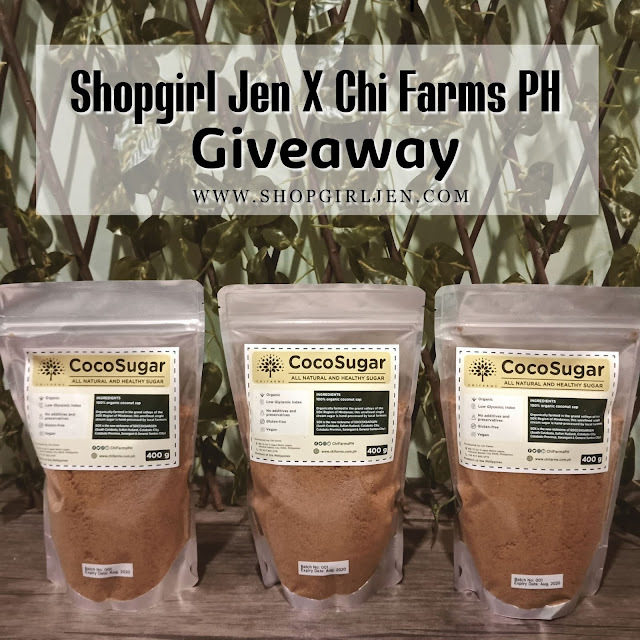 Chi Farms PH also offers pink, black, lilac, brown and red organic rice and civet coffee on their Shopee store. 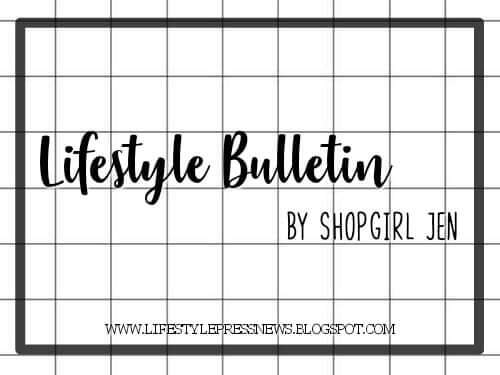 Don't forget to check it out for a healthier you. I need this sugar to replace the regular sugar on my baking needs! 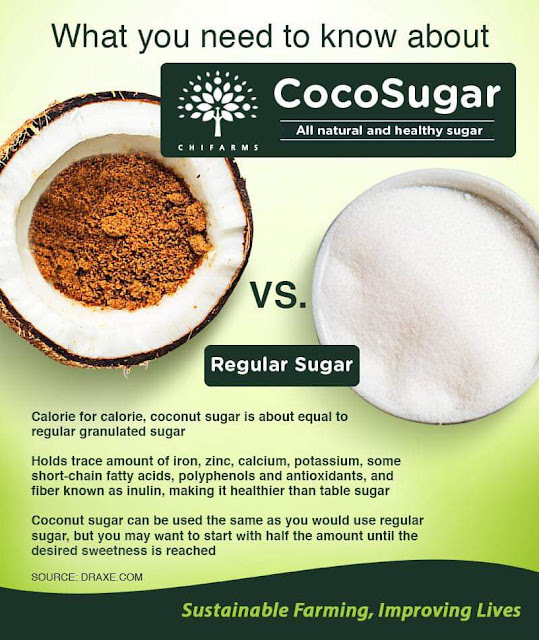 Ang gandang product na ito momshie kasi organic at pwede sa may mga diabetic.. Lahi pa na man na min ang diabetic kaya hindi din masyado sa mga matatamis at sugar.. Kaya nakakatiwa dahil may mga ganitong product..